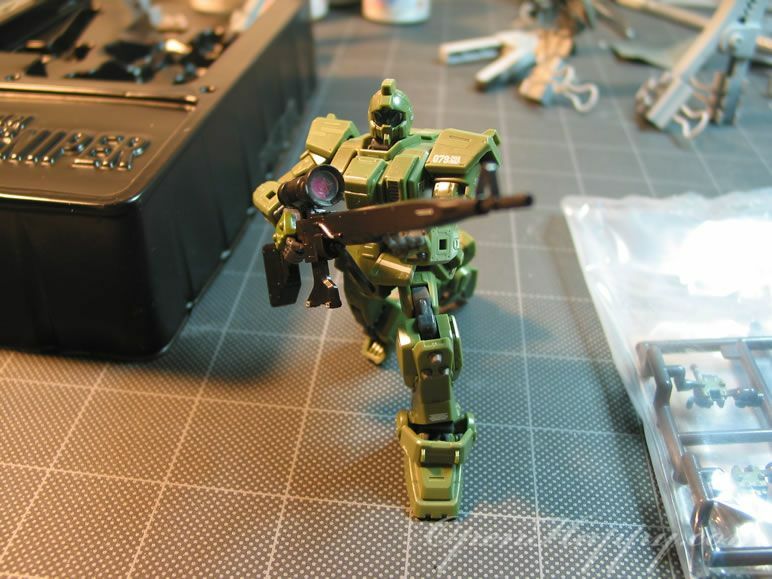 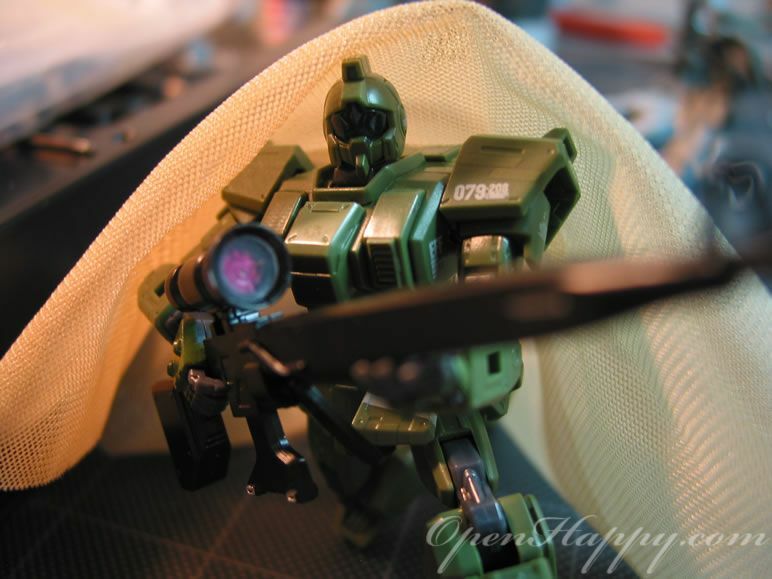 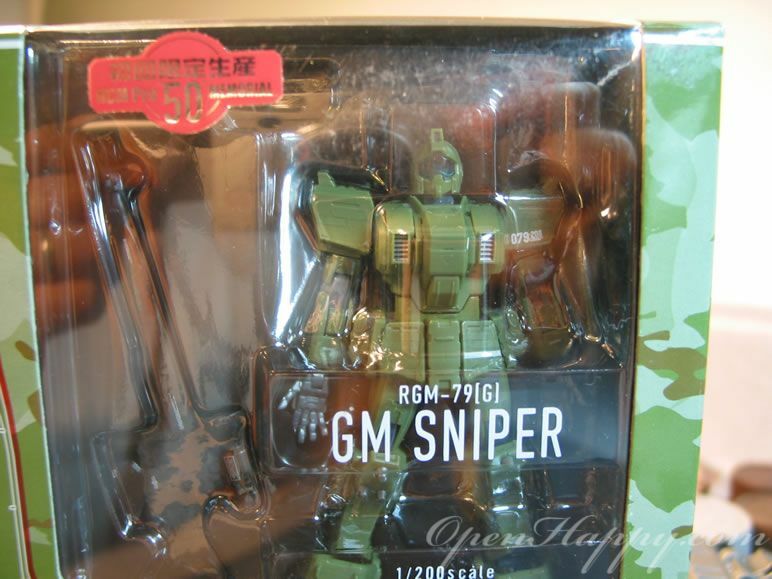 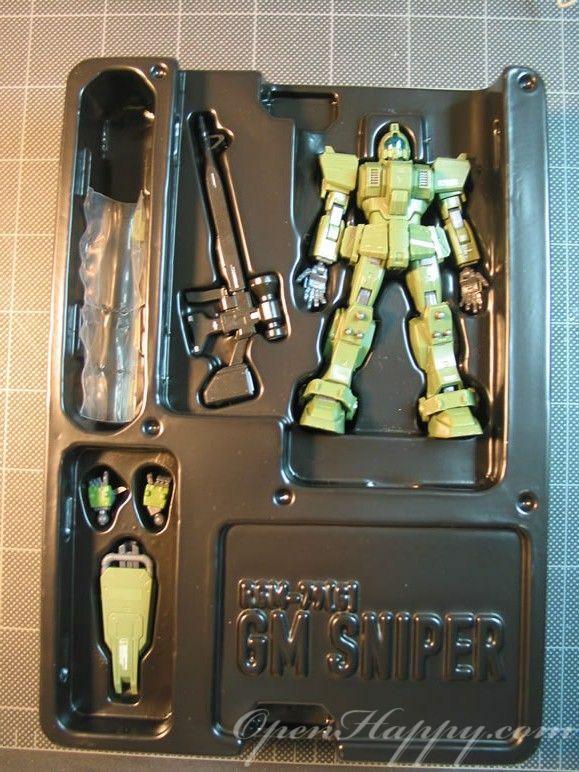 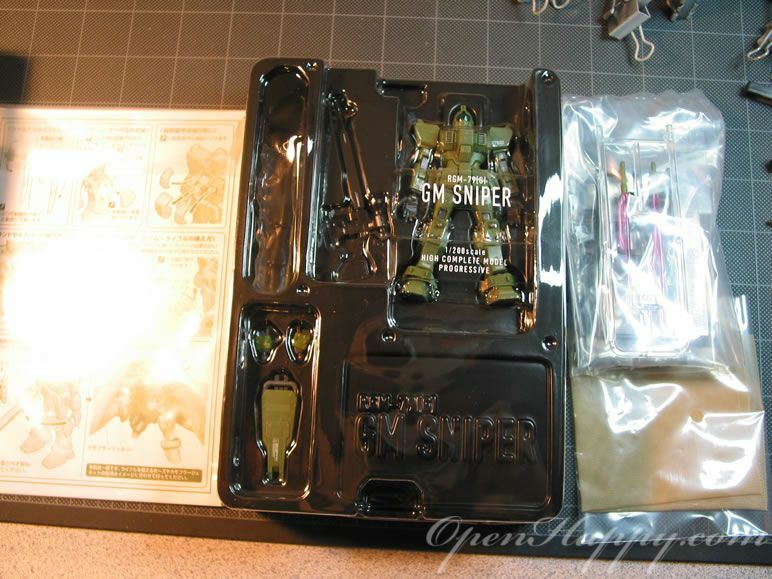 The GM sniper comes with its signature long-range beam rifle, a 100mm machine gun, two beam sabers, shield, a camouflage net, and six optional hands. 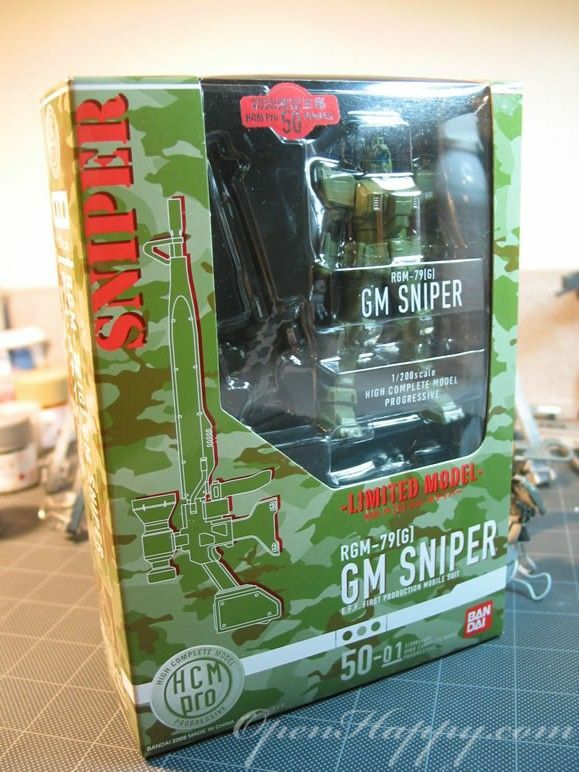 It is a limited release, so they are not making more. 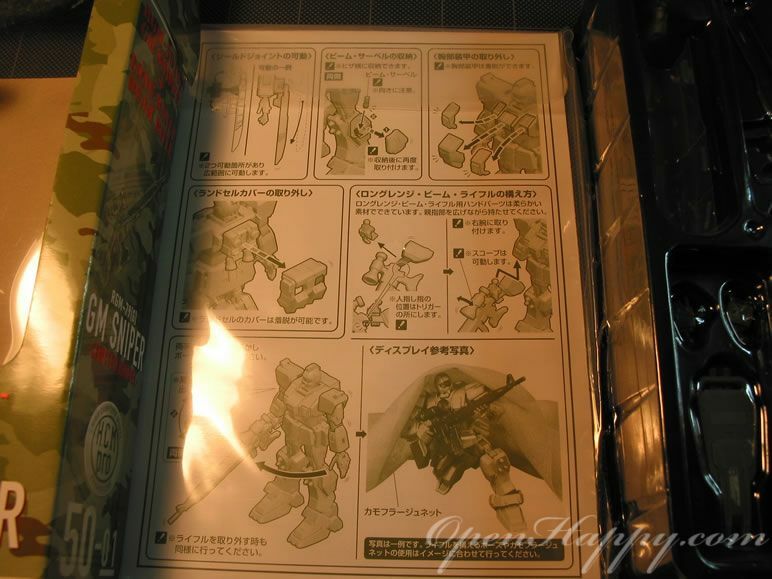 The back of the box. 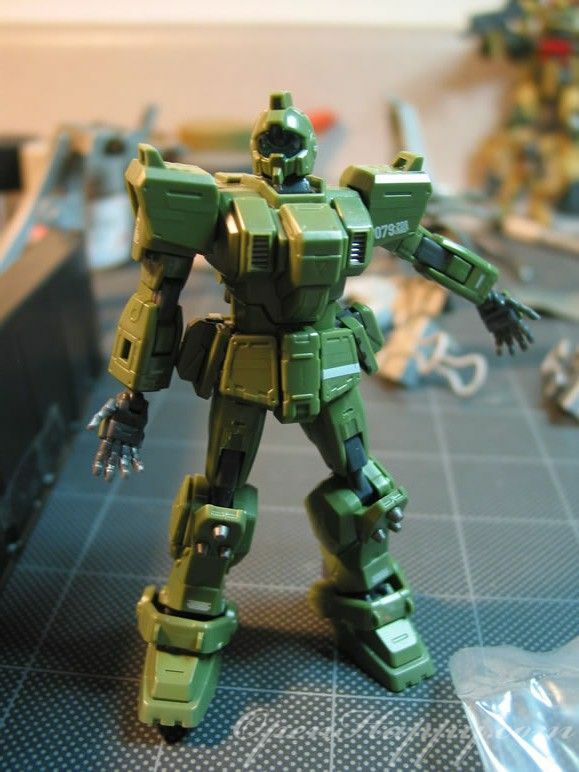 No picture (limited release, so bandia probably does not want spend too much resource on it). 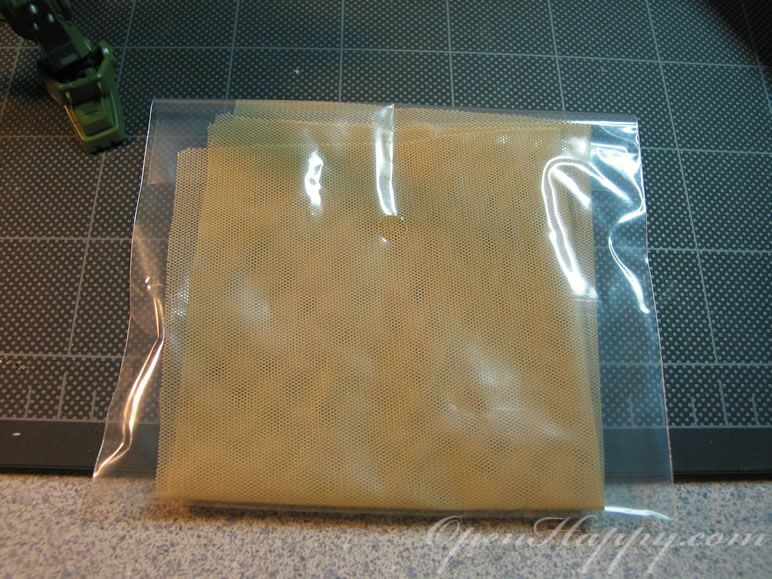 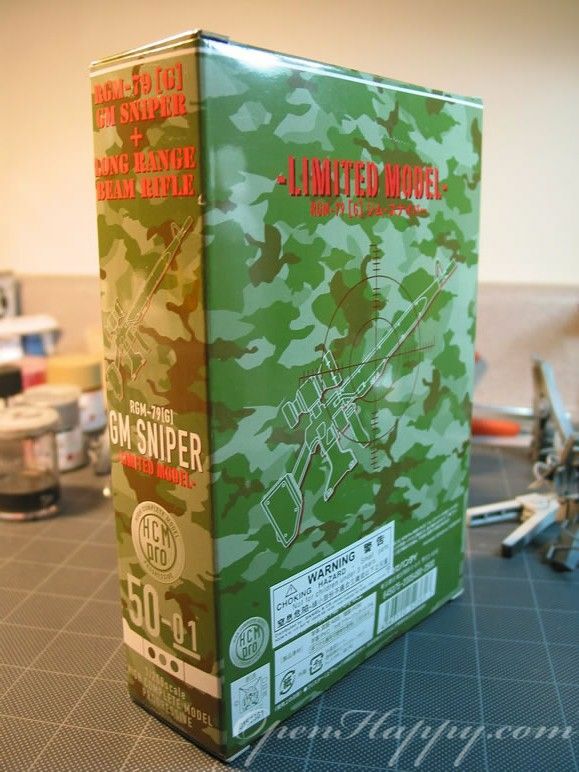 The sniper gun is ready to go, there is no need to put it together like other releases. 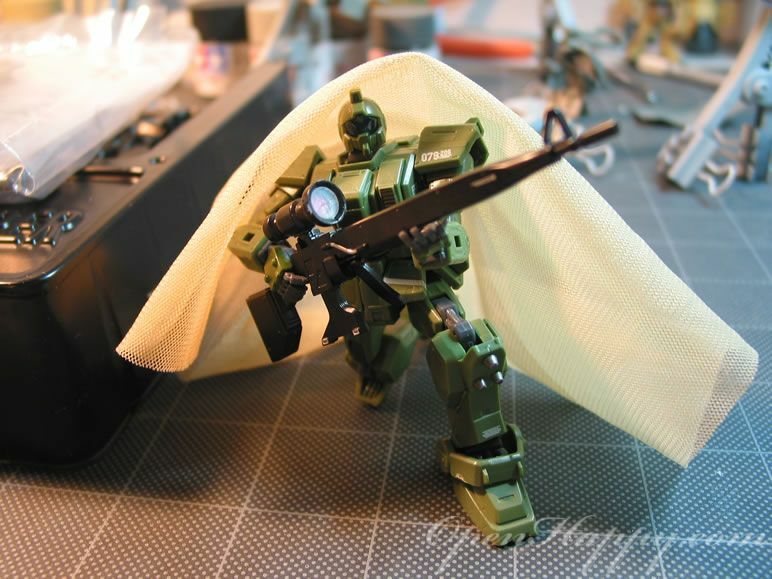 The cloth is for hiding. 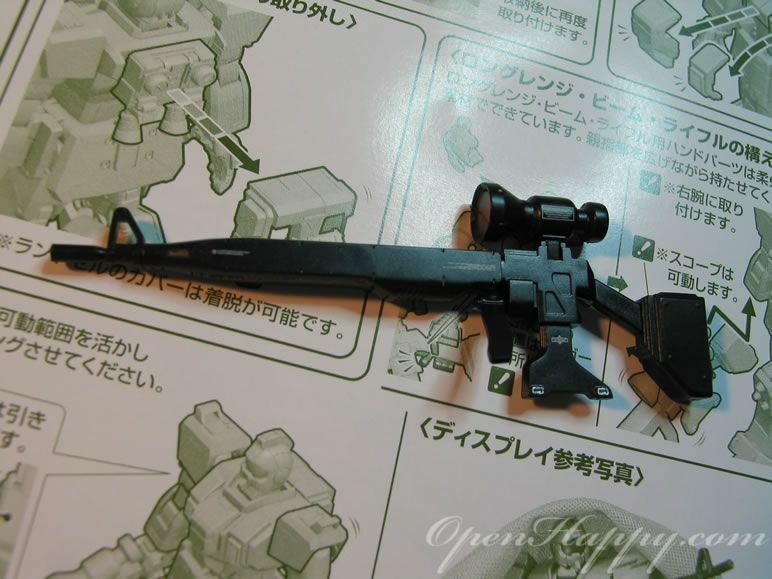 It is very popular to dress up tanks in the AFV world.